Are you looking to build Easter memories with your family this year? 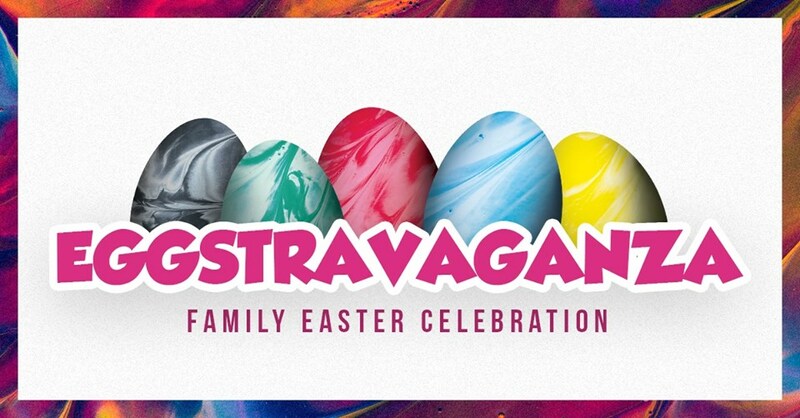 We are opening our doors on Saturday, March 31 at 3:30pm for Eggstravaganza!, an ultimate family Easter party for kids through fifth grade. We have something for every age group, from little tots to older kiddos. Your child will seek to complete the Easter Games—collecting all 5 special eggs that tell the story of the "Ultimate Victory." They will test their skills at blacklight bowling, basketball, and trike races; create and race their own Easter eggs down the Easter derby track; play mini-golf; and try to not miss the mark in our archery room. You won't want to forget to stop by one of our traditional Easter egg hunts (4 age divisions from birth to 5th grade) or stop to make an Easter Games medal and cookie. Finally, your child will finish off by going to "The Big Reveal" to receive their final golden egg and hear about the Ultimate Victor, Jesus. Don't forget the music, balloons, eggs, candy, and celebration! This is an open house-style event; however, the traditional egg hunts will happen at specific times. After the Eggstravaganza!, feel free to come to our Easter service at 5:00. The kids will have a blast learning about Easter in our Children's programming and don't worry... we will feed them dinner too!